Degustation is a French culinary term that refers to sampling an array of small dishes served one after the other. The term also encompasses ideas like savoring of food with all the senses, appreciation of ingredients and the chef’s technical skills, and enjoying food with good company. These degustation menus are a popular option in restaurants today, particularly high-caliber establishments, allowing the chef to showcase his or her signature dishes and techniques. A degustation meal often takes place over the course of several hours, with anything up to twenty courses of small bites that are often matched with wines. There are also other uses for this term, as you might find it used for sampling a selection of artisanal cheeses at a restaurant or when referring to Spanish-style tapas, though tapas are not a set menu like traditional French degustations are. While finding a restaurant that serves a traditional eight-or-more-course degustation may be hard for the budget traveler, many restaurants in cities around the world often offer this special way of serving their menu. Many establishments in "foodie destinations" like San Fransisco, Chicago, and New York City also serve smaller degustation menus that only feature six to nine courses—typically with two courses of seafood, red meat, dessert, and vegetables or sides. Additionally, high-end restaurants are more likely to feature these exclusive menus to show of the culinary mastery of the kitchen's chef; while expensive, these carefully-crafted menus offer a unique taste experience as opposed to a typical (even if delicious) meal elsewhere. 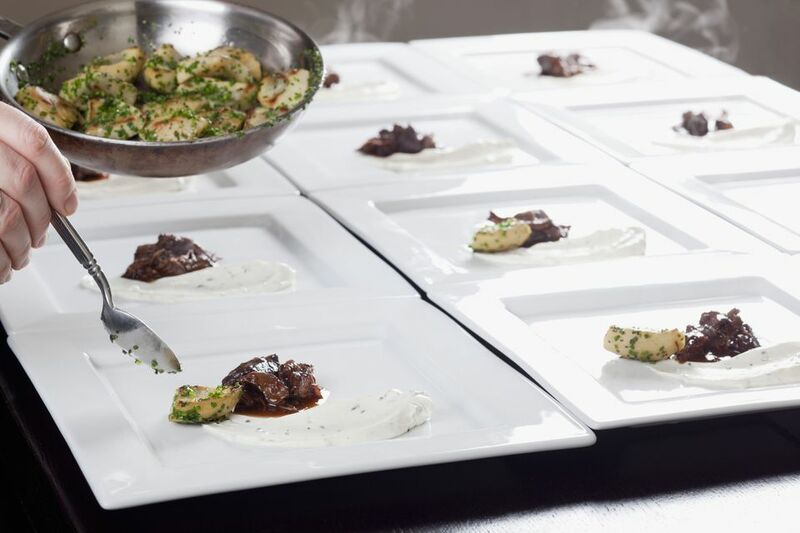 While the French tradition of degustation focuses on a carefully-curated experience focusing on the senses, the gustatory system, culinary mastery, and excellent company, many American restaurants have taken up the traditions of sampling multiple dishes in a less curated setting. These meals, called tasting menus, are offered at restaurants all across the United States and can range from under $100 to over $300 per person—depending on where you eat and whether or not you get a drink pairing. They typically also demonstrate the culinary mastery of the head chef, but the environment and concepts of degustation aren't typically part of the service. While you might not get the same French experience as a degustation with an American tasting menu, you'll still get to enjoy a wide array of unique dishes as some of the country's best restaurants by ordering this way instead of selecting a single entree. Some will even let you select from two or three entrees of your choice on the regular menu and charge you a little more for a "tasting menu" price. If you're traveling domestically, chances are whatever city you visit will have multiple restaurants to choose from that offer fixed prices for a multi-course meal. Some restaurants might even specialize in this type of service while others merely feature it as an additional menu item after the entrees and sides. Be sure to check ahead if you have a favorite restaurant in mind—they might just have a deal for you.